Bolt bag red. Elk River fall protection is not the low cost import that you buy to save a dollar but you buy to save a life. 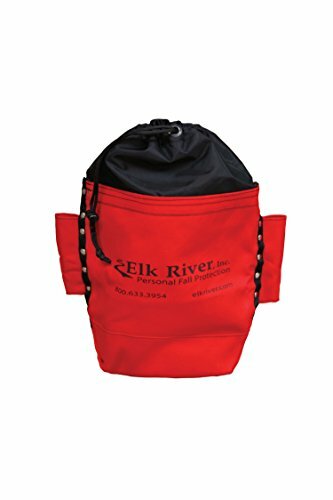 Elk River is what you want when the protection, comfort, & safety of your team is the #1 priority. Heavy duty red cotton duck bolt bag with 2 side tool slots. Size: 4"x10"x9"